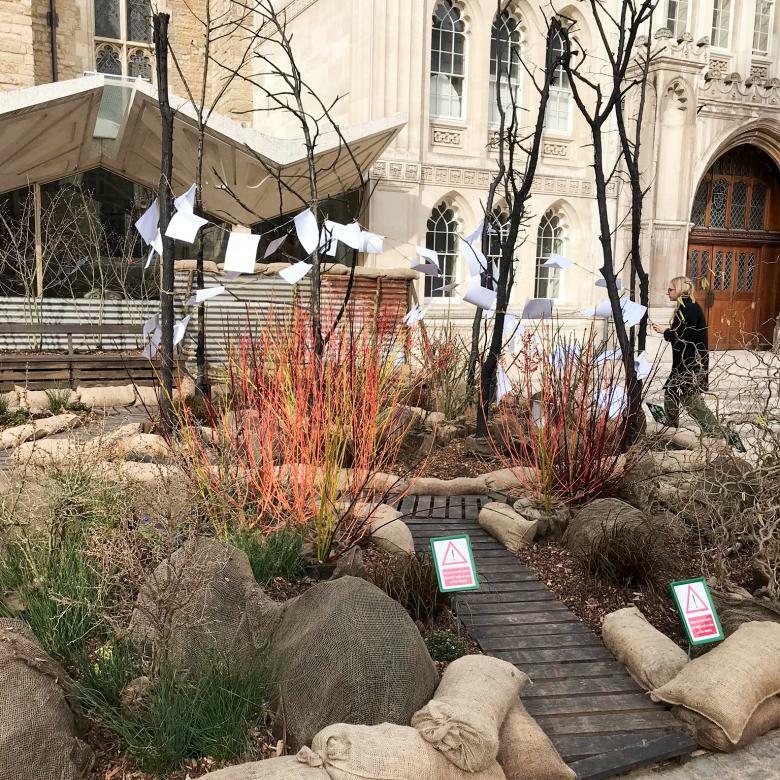 The Guildhall Yard is home at the moment to a fascinating temporary garden, built by the Gardeners’ Company to celebrate the centenary of the end of fighting in the First World War. It also draws attention to the upcoming Big Curry Lunch on the 11th April which every year raises funds for the Soldiers’ Charity (formerly ABF). The garden forms part of ongoing events to promote the work of the Royal Parks Guild and the ‘Battlefields to Butterflies’ initiative. The Lord Mayor, Sheriffs and Soldiers’ Charity CEO Michael Hockney joined the Master Gardener and other members of the Gardeners’ Company for the official opening, hosted by Liveryman David Domoney. The garden will be open to the public until 11th April when it will be taken down. Elements of the garden will then be reused on the Royal Parks Guilds display this year at Hampton Court and at the memorial at Brompton Cemetery.